If the title of this blog post rings a bell with you, perhaps you were at PG Day in Horwood House in 2014, when I stood up for 5 minutes to make the case for data modelling; a data model is much more than just a diagram. I shouldn’t be, but I am often amazed by the way data models (and the tools we use to manage them) are derided as ‘just pretty pictures’ or ‘documentation’. I’m not going to repeat my lightning talk here (watch it yourself if you want to), instead I’m going to talk about Data Vault. Key to the success of DV in any organisation will be the ability to convert a normalised relational model (or existing star schemas) into a DV model. 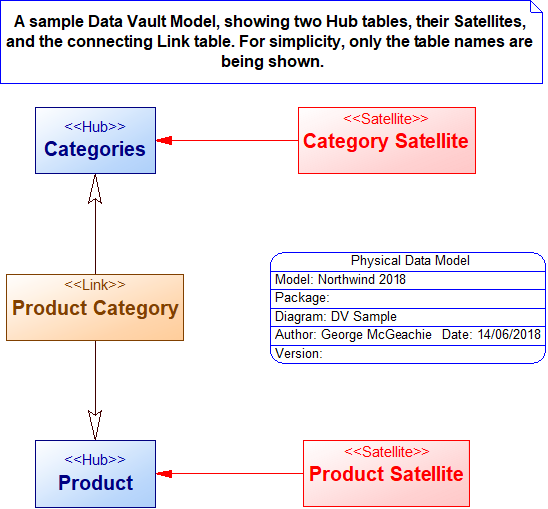 That’s where a data modelling tool comes in very handy – manually converting a normalised relational model into a Data Vault is straightforward, but it can be time-consuming, tedious, and therefore prone to error. 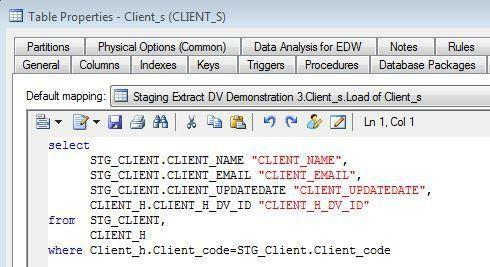 In addition, you need to be able to manage changes effectively, and to migrate data from its original form into the DV tables – data modelling tools allow you to do both effectively and quickly. All of this was generated in a data modelling tool – the tool provides much more than just the ability to draw pictures. I rest my case. 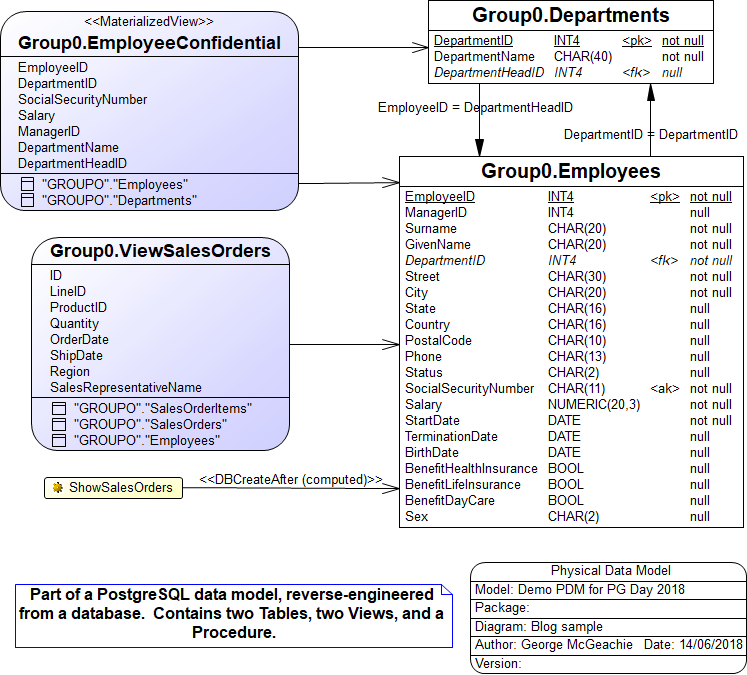 OK, not quite finished, I’d like to reiterate that a data model is not just a picture – here’s another sample PostgreSQL Physical Data Model, also from PowerDesigner. This one is reverse-engineered from a real database. Behind the scenes, the tool is keeping track of all the ways that these things are connected. 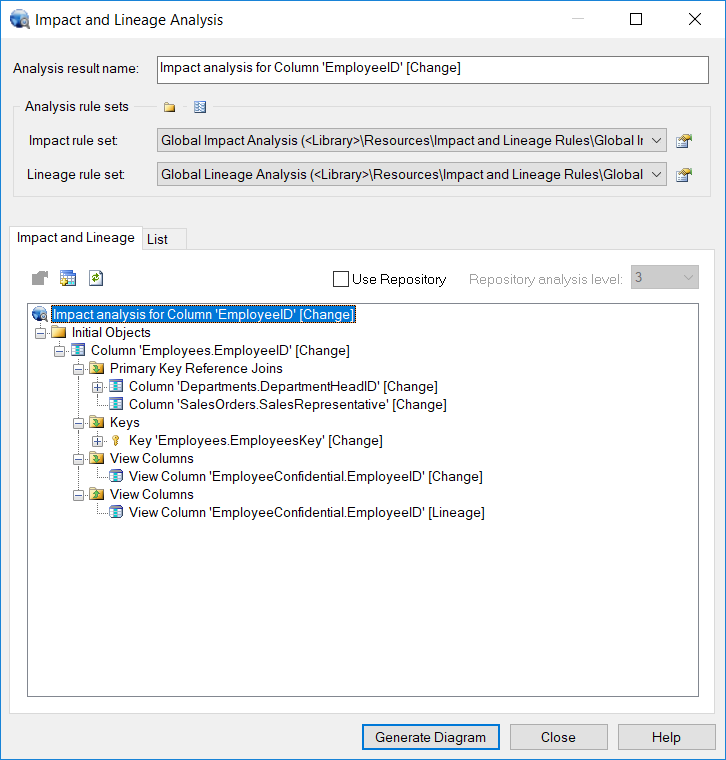 For example, here’s the Impact and Lineage Analysis for the column Employees.EmployeeID, showing the other things that would be subject to change if we decided to change, for example, the length of the column. In the Data Vault models generated by Thierry, such an analysis would obviously stretch right across several models. To find out more about Data Vault, take a look at http://danlinstedt.com, and this book on Amazon – Building a Scalable Data Warehouse with Data Vault 2.0. Training courses are available via Genesee Academy, amongst others. * This is a Guest post, the opinions expressed by the guest writer are theirs alone, and do not necessarily reflect the opinions of 2ndQuadrant or any employee thereof. 2ndQuadrant is not responsible for the accuracy of any of the information supplied by the Guest writer.